Drake, the supercargo of the Palestine, made Alvord's acquaintance one dull, lowering day when a black north easter was blowing hard, and a sullen, heavy sea tumbled upon the long line of beach that stretched from Point Plomer on the north to the harbour bar, ten miles away. Contents: The pearl divers of Roncador Reef; Jim Trollope and myself; For the benefit of sailors' kids; The Manurua and the Marguerite; A blackbirding incident; A strange rencontre; Crowley and Drake, Limited; Nerida, the maid of Suwarrow; etc. A Fictional Journey to the Lands of Paradise. 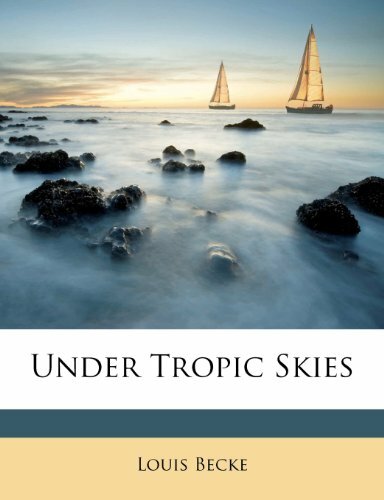 This small collection of 'yarns' about life in the Pacific Islands launched Australian author Louis Becke, a former sailor, into whirlwind celebrity with its publication in the late 1890s.